The remake is being directed by veteran filmmaker Priyadarshan and is slated to be released this Friday worldwide. 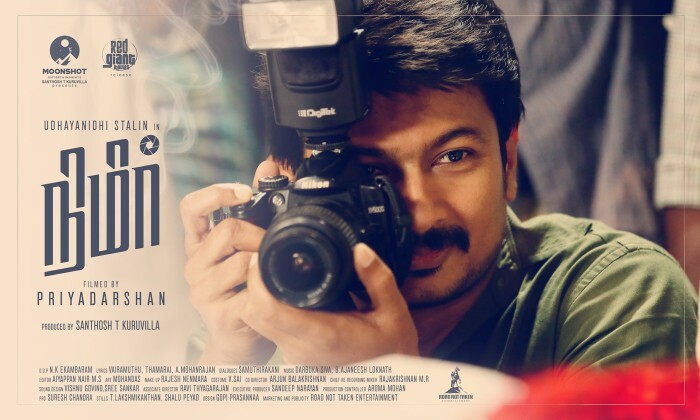 Nimir starring Actor Udhaynidhi Stalin is gearing up for release and the film is a remake of Malayalam hit ‘Maheshinte Prathikaaram’ that featured Fahadh Faasil in the lead. The remake is being directed by veteran filmmaker Priyadarshan and is slated to be released this Friday worldwide. Speaking about the film, Udhayanidhi Stalin says that he only listened to Priyadarshan’s instructions and did not experiment with it. “There was already the pressure to do well because the Malayalam film was a hit. Fahadh Faasil is an extraordinary performer. All I had to do in this film was follow Priyan sir’s instructions. If someone says I’ve achieved half of what Fahadh did, I’ll be satisfied,” Udhay was quoted as saying by New Indian Express. Udhaynidhi is all praise for director Priyadarshan and says that one can only be in awe of him. “He pays attention to the little things. For instance, he’d notice if I’ve draped my veshti the same way every day,” Udhay added further. The actor further says that Priyadarshan is a great technician and knows what he is doing. “Lighting, camera techniques, mood of the scene, and so on. Unlike other directors, he doesn’t waste footage. Whatever we shot has been used in the film. That’s one of the reasons why he could finish Nimir in 36 days. Despite the stringent schedule, he lets you be spontaneous on the sets,” he adds.